Rockstar Games has just released the final Grand Theft Auto IV trailer: "Everyone's a Rat". " GTA IV reinvents the series with a renewed version of Liberty City detailed to the last pothole and rooftop vent. There are now four boroughs to explore plus extra area outside of Liberty City proper ". GSC Game World and Koch Media have announced S.T.A.L.K.E.R. : Clear Sky, the prequel to the irradiated first-person shooter S.T.A.L.K.E.R. : Shadow of Chernobyl, will hit the store shelves on August 29, 2008, and will be published by the games labels Deep Silver and GSC World Publishing. Albatron recently released their GeForce 8800 GTS armed with 512MB. This product is all about value for your money. We've seen cards like these sell for 219 USD already. Over the next pages we'll dive into the technology called G92, which is powering that 8800 GTS 512MB, we'll look at the card stripped naked in a photo-shoot, then fire off a nice round of benchmarks at the cards top see how they perform and where they stand among the rest of the 8 series products. Check out this review. These are the flash memory sticks that Bruce Willis could carry around while making Die Hard 4.0, they've been laundered, baked, frozen, boiled, dropped, and even run over by a SUV in many third party reviews. After all the punishment it receives, these sturdy little freaks continue to work. Now available in a 32GB capacity. It's a small HDD in your pocket. With that file size you could even partition it, split into two partitions, and make one encrypted as the product supports EAS-256 bit encryption technology. Today is the 25th, the press is "allowed" to publish results on new NVIDIA technology today. It's a topic we quite frankly already have covered before, yet back then on a different operating system. It was exactly that operating system which limited what we really needed and wanted to achieve, and that is utilizing more than two GPU's to render a game. It's 2008, times have changed and obviously we'll play peek-a-boo with a Quad-SLI system. What do you need for Quad-SLI ? A pretty beefy system, that's for sure. Added several new nVidia G96 and G98 models, GeForce 9800 GX2. Added support of ADT7490 sensor. Added S3 Chrome 400 Series. Enhanced support of nVidia MCP73 (nForce 6x0i) and C73 (nForce 790i). Added support of Enhanced Performance Profile 2 (for DDR3). Added ATI Mobility Radeon HD 3430, 3650, Radeon HD 3300, 3430 and M86. Added Intel Atom branding for Silverthorne and Diamondville CPUs. Updated Intel XMP support to v1.1. Added recognition of Intel Mobile Diamondville. Improved memory module timing information. Added monitoring of CPU power consumption and current for Giga-Byte boards supporting DES. Added ATI FireMV 2260 and 2450. Improved identification of LGA771-based Yorkfield (QX9775). Added ATI Mobility RADEON HD 3850 X2, 3870, 3870 X2. Enhanced identification of Cantiga SKUs. Enhanced support of AMD Geode-LX. Added nVidia GeForce 8800 GT, 8800 GS, 9400 GT, 9500 GT, 9500 GS. Added nVidia GeForce 8200M, 9200M GS, 9300M G, 9300M GS, 9500M G, 9600M GS, 9600M GT, 9650M GT, 9700M GT, 9700M GTS, 9800M GT, 9800M GTS, 9800M GTX. 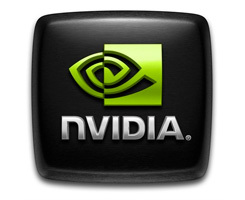 Added nVidia Quadro NVS 150M, Quadro FX 770M, 2700, 2700M, 3700M. This is NVIDIA ForceWare 174.74, an all new driver as released by NVIDIA. This drive comes with full support for all current GeForce graphiocs cards from the GeForce 6, 7, 8, and 9 series. B FG Technologies announced today the BFG NVIDIA GeForce 9600 GT OC2 512MB PCI Express 2.0 graphics card for a suggested retail price of $249.99 USD. We'd been hearing that HP's slick UMPC 2133 was going sport VIA processors, and now we've got some more info to back that up -- we just received what appears to be a full spec list for the upcoming machine, and it's VIA C7-Ms all around, with graphics courtesy of a VIA Chrome 9 chipset. According to our source, these will hit on April 7th, and it looks like those pricing whispers were pretty accurate as well: $600 will buy you a 1.2GHz C7-M, a 120GB drive, 1GB of RAM and Vista Home Basic, while $749 bumps you up to 1.6GHz and Vista Business and adds Bluetooth, another gig of RAM, and a bigger battery. There's also a mysterious $849 Vista Basic model listed as having "regional" availability (the others are listed as "Smart Buy") with Bluetooth and bigger battery, but we don't see why it's more expensive than the Vista Business version. Regardless, what really caught our eye was the $549 model that shares the same specs as the $600 unit, but looks to be running SuSE Enterprise -- another rumor that's come true. That could be the one that HP expects to sell like hotcakes -- after all, the goal is to have people buy these "without a thought," and that's certainly not going to happen at $749. We'll see soon enough, we suppose. AMD today releases it's new B3 revision Phenom X4 processors. Solved and free's of the nasty TLB issues, the new and new, old CPUs are set to finally give Intel some reasonable competition and offer customers parts with a good performance-price ratio. Coming in AM2+ form, the Phenon 9050 series CPUs go from 2.2 GHz (Phenom 9550), 2.3 GHz (9650) through 2.4 GHz (9750), and 2.5 GHz (9850 Black Edition) and all feature HyperTransport 3.0, a DDR2-supporting memory controller and 2MB of shared L3 cache. These B3 processors have 95W (9550, 9650, 9750) or 125W (9750 and 9850 BE) TDPs and are set to become widely available in April. In the 8000 series we now spot the tri-core Phenom as well. The tri-core CPUs includes two Phenom parts that are set for "gamers and digital media enthusiasts" who want a good performance per price ratio and they are basically quad-cores with one busted and disabled core. Codenamed Toliman, the triple-core Phenom 8400 and 8600 are clocked at 2.1 GHz and 2.3 GHz respectively. In terms of prices, the Phenom 9550 will be $209, the 9650 $215, the 9750 still $215 while the only B3 and highest-end Black Edition Phenom, the 9850 will cost $235, in 1000-unit tray quantities. The prices of the last three CPUs will go live on April 7 so that's probably the day they will start hitting the stores in sufficient numbers. We're also expecting to see a 9850 Black Edition as well as the 9950 clocked at 2.6GHz, but these parts aren't listed yet. Far Cry 2 for PC, PS3, Xbox 360 is announced to be scheduled for release in the fall of this year, Ubisoft revealed in a production video released today. ATI released a hotfix for owners of Radeon HD 2400, 2600, 2900, 3850 and 3870 graphics cards that resolves a intermittent stuttering issue in various 3D applications. You can grab the hotfix over here, it's available for Windows XP and Vista. With respect for you and your readers, we wish to share this important information. With its recent driver updates, Asus is misleading its customers by suggesting that its sound cards now support EAX 5. Asus sound cards do not support EAX 5, nor do they support EAX 3 or EAX 4. There are a small number of PC game titles that specifically query the audio device on the system to see if EAX 5 is available before they will attempt to render more than 64 3D simultaneous audio voices. The new Asus drivers are falsely reporting EAX 5 capabilities in order to get these games to ouptut 3D audio on Asus sound cards. Asus customers are not getting a genuine EAX Advanced HD experience with this driver update. Furthermore, the several hundred games that support EAX 3 or EAX 4 for delivering in-game effects will not provide those effects from Asus sound cards. Here's an overview of the NPD chart's detailing the best selling PC games in the USA for the week ending March 15. Check out the new features of the updated Unreal Engine 3 via an on-stage demonstration, pretty cool to be honest.